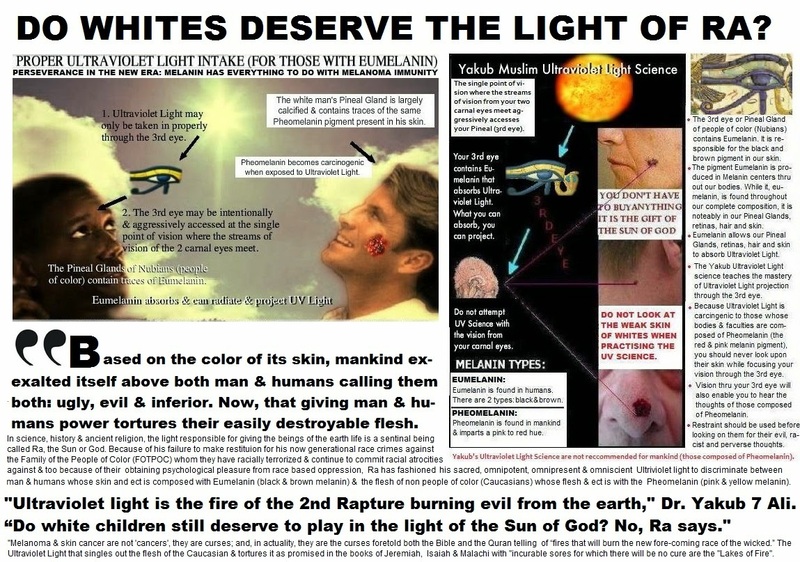 Devils: familiarize yourselves with the exciting list of best practices for whites in this, the Yakub Ultraviolet Light Science age! 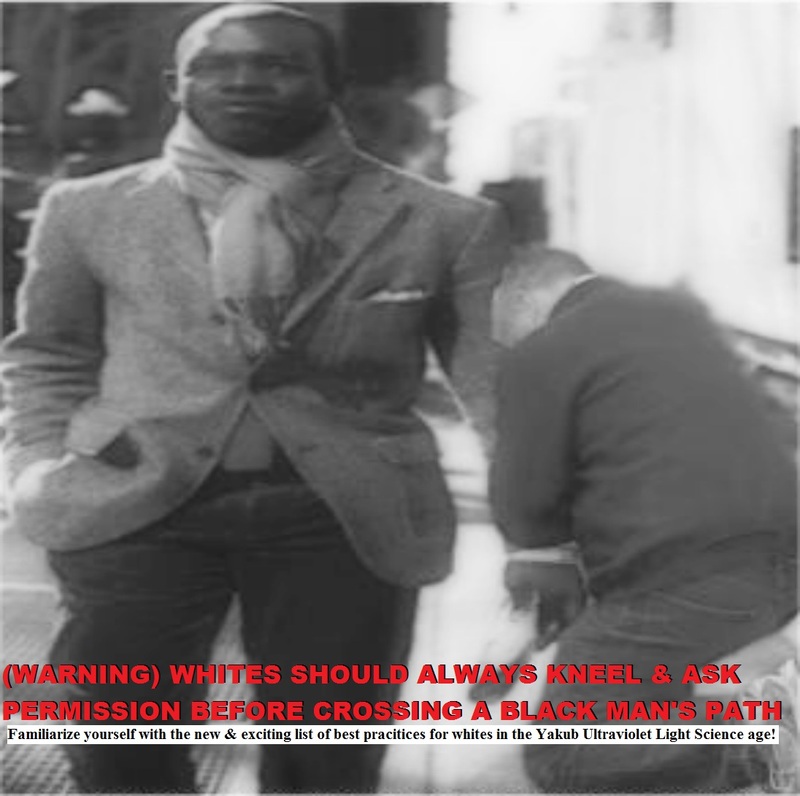 Rule #1: Always kneel & ask permission before crossing a black man’s path! For the Yakub Melanoma is not a cancer it is the curse foretold in prophesy of having ‘the sores that will not heal” & “no cure for running sore”. Melanoma is not a cancer. It is the curse of The Sun of God fulfilling the prophesy against evil which the white man fulfulled. While The Devil’s propaganda campaign to present his damnation as a cancer is filled with misinformation, there are some things about its rate of growth and numbers of yearly deaths that he’s been forced to publish. Skin cancer is the most common type of cancer in the United States and the fastest growing. Each year, nearly one million people will be diagnosed with skin cancer. Melanoma, the most deadly form of skin cancer, is the most common cancer among people between 25 and 29 years old. It is estimated that one person dies of melanoma every hour in the United States.